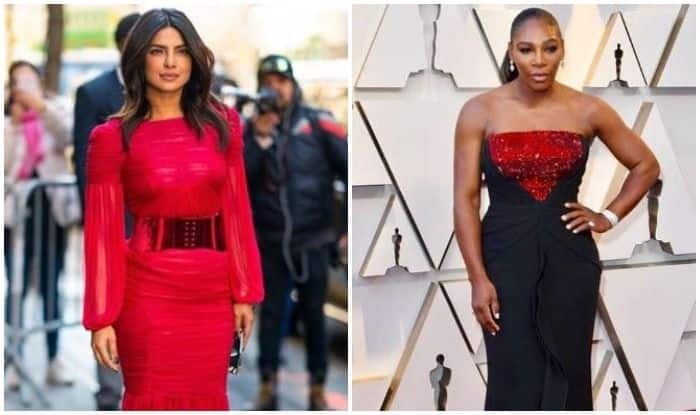 Apart from being trailblazers in their respective fields, Priyanka Chopra and Serena Williams have another thing in common which is them actively working towards empowering women. Having featured in #InHerCourt, a commercial for the networking and dating app Bumble, tennis superstar Serena Williams has stepped up as the investor and advisor for the app launched by Bollywood-turned-Hollywood diva Priyanka Chopra. Serena, who owns Serena Ventures, has previously invested in 30 companies reportedly, before joining Bumble Fund that backs start-ups led by women of colour. She called Serena a natural fit for the brand as the tennis ace is a trailblazer herself in the sport. Hence, this gels well with the brand that believes in creating opportunities for women. On the professional front, Priyanka will soon be seen in Shonali Bose’s The Sky is Pink with Farhan Akhtar and Zaira Wasim. She recently featured in a Hollywood film Isn’t It Romantic starring Rebel Wilson and Liam Hemsworth. Earlier in February this year, the Jonas Brothers had released their comeback single also featuring Kevin Jonas’ wife Danielle Deleasa, Joe Jonas’ fiancee Sophie Turner and Priyanka alongside popstar-husband Nick Jonas.